Simple socks just not doing it for you? 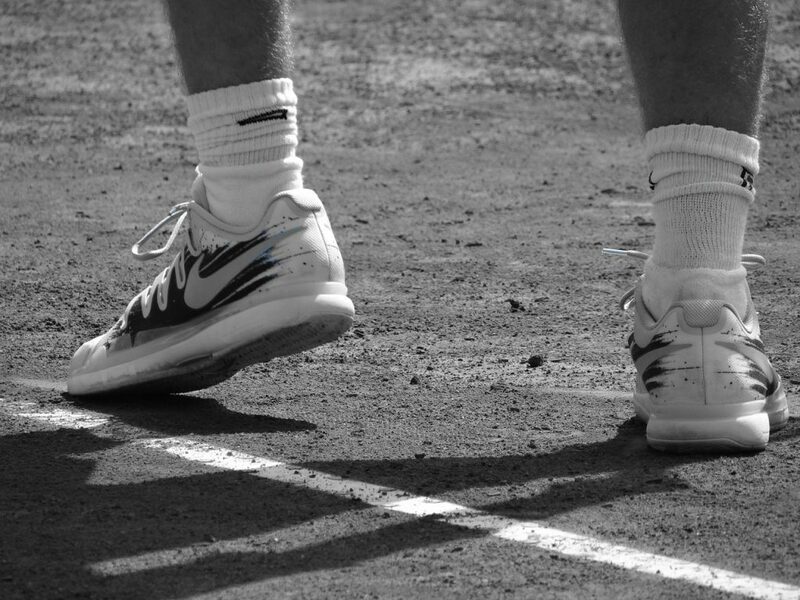 In this article, we’ve reviewed the 8 best socks for tennis on the market in 2019. We’ve looked at some awesome high-tech options (yes, really) as well as a few excellent-value budget socks. After that, we’ll discuss some key things to consider when buying. Socks are serious business! Playing with the wrong ones could be the difference between winning and losing a crucial set. We’ve looked at 8 different pairs of socks that are perfect for tennis players. Included are some superb all-around options, as well as a few incredibly well-engineered ones for those looking for that extra edge on the court. This is probably the only option on the market which contains rubber. In fact, 2% of each sock is made of the stuff – but the rest of the materials are synthetics (90% polyester and 8% spandex). So what exactly is rubber doing in a tennis sock? Adidas have lined the outside of the footbed with specialized grip zones to prevent your sock sliding around in your shoe on-court. Not only does this help to prevent blisters, it also gives you a little extra confidence when emulating Djokovic, allowing you to perform slides and make tough-to-reach shots with ease. In return for this awesome grip, expect to pay a decent price. Although this sock is by no means expensive, it’s pricier than most other options on the market, and you only get a single pair for your money. However, you’re not just paying for rubber pads with this sock. The seamless design is incredibly comfortable, and the spandex helps to keep it from falling down your ankle – especially important on a crew sock. Plus, you also get Adidas’s patented Climalite technology, which does an awesome job keeping your feet cool and dry. There’s also cushion zones in the heel and toe for added durability. Awesome grip – feels amazing to wear on-court. Thin, but there’s padding where you need it (in the toes and heel). Prince’s quarter-length tennis socks are a fantastic budget option. Despite their price, the blend of synthetic fabrics is nice and soft, and feels great to walk on. The mesh material is surprisingly breathable, and does a good job wicking sweat away from your foot. You might be worried about the toe seam on this sock potentially coming apart or rubbing against your foot as you run. However, Prince have done a good job in ensuring its durability, and it’s smooth enough to avoid giving you blisters. If you’re unable to find a perfect seamless sock, this product is a fantastic option. The material strikes a nice balance with regards to thickness. 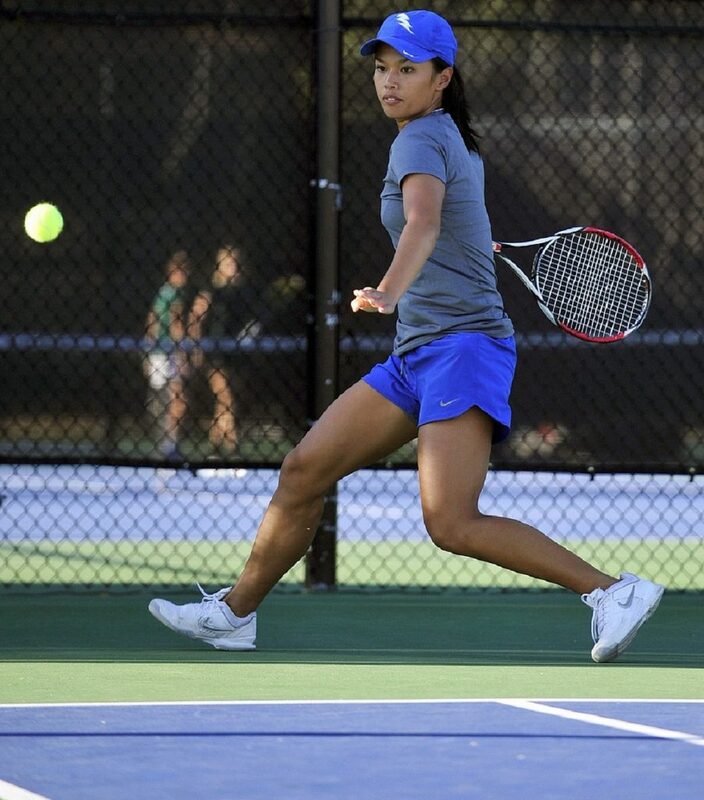 It’s thin enough that it feels fairly cool even when playing in the Florida summer, but thick enough to sit nicely in your tennis shoes without moving around too much. With 6 pairs in each pack, even if you do manage to wear a hole in one, you’ll have a backup ready to go. Overall, these are some of the best-value tennis socks on the market right now. However, for tennis, this sock can have durability issues, particularly in the lower toe area. Although they’re cheap to replace, it can be annoying having to throw them out every few months. Not too thick but not too thin. Has a bigger-than-usual toe seam, but it’s not a huge issue. Nike’s take on the crew-length tennis sock is pretty similar to Adidas’s Traxion option. However, it doesn’t have rubber grip pads, and is a good deal cheaper. Despite being less expensive, this sock isn’t really missing anything. It comes with Nike’s Dri-Fit technology to wick away sweat, and there’s arch compression for a little added support. The best thing about these socks though is their fit. Since Nike has customized each sock specifically for your left or right foot, they fit like a glove. The spandex also helps here – its elasticity means that each sock hugs your foot, resulting in fewer blisters and less discomfort during intense games. Nike have also addressed sock durability by reinforcing certain areas that tend to see a lot of wear. The heel and toe areas are extra-thick, meaning it’s incredibly hard to wear holes in these socks. However, they’re not too bulky – you still have excellent control when turning on the ball of your foot, for example. Unlike the other two options we’ve looked at so far, this sock has a small amount of cotton, rather than being 100% synthetic. As a result, it’s extra soft and very comfortable, although you might see one or two fuzz balls floating around in your drawer occasionally. Great fit – customized for left & right foot. Durable in the areas you need it most. N/A – excellent crew sock. For those with slightly loose tennis shoes, or those who tend to wear holes in thin socks very easily, getting something nice and thick is a great idea. These crew-length socks from Thorlos are extra-padded around the entirety of the sock. As a result, they’re extremely comfortable to wear, and won’t wear out for absolutely ages. Another unique this about this particular product is where it’s made. Thorlos’ plant is based in North Carolina, so you can buy these socks in the knowledge that you’re supporting an American company who employ American workers. Since the manufacturer uses high-quality labor and premium materials, you know that these socks are going to be incredibly durable. The obvious downside to thicker socks though is that they can get pretty warm. Although the fabric Thorlo has used is pretty breathable, this product isn’t the best for those of you who play in super-humid conditions. Surprisingly, you get a 30-day money-back guarantee with these socks. Thorlo promises to refund you if their product doesn’t feel better than your regular tennis socks. Plus, the TX is available in four different lengths, so there’s something for everybody. We’ve looked at the crew-length version here – you can find the others on separate Amazon listing pages. Incredibly comfortable – very soft. Good fit – multiple lengths and sizes available. Can get pretty warm in humid weather. For those with plantar fasciitis, playing tennis without appropriate support can lead to insufferable heel pain and/or swollen feet, making it nigh on impossible to play at the top of your game. To solve this problem, you’re going to need extra support on-court, not just when walking around the house. These socks provide the compression you need to reduce the amount of swelling you experience. Despite being compression-based, they don’t actually feel that tight, and are very comfortable to wear. As the picture kind of shows, the support provided is highly targeted – focused on the heel, arch, and ankle area. 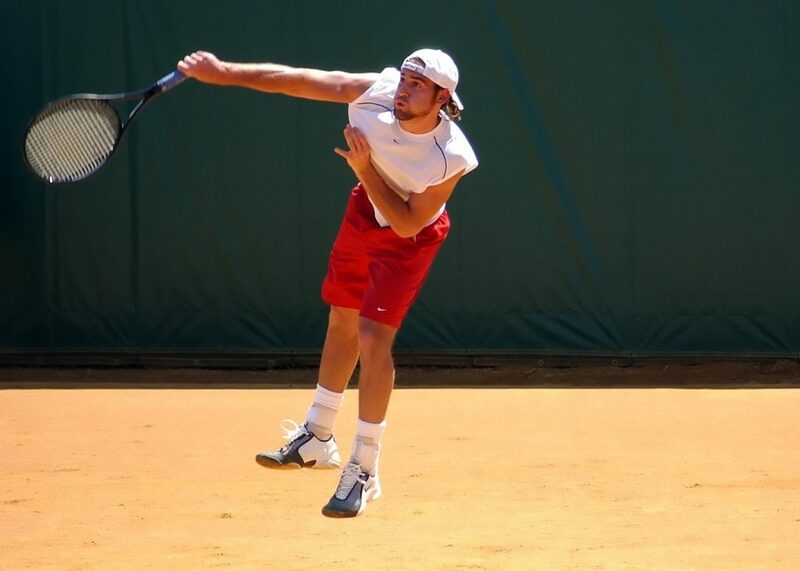 The toes are left exposed, which may feel a little weird at first, but it’s not a huge deal when playing tennis. You could always wear a second pair of socks over these ones if you’d prefer. Considering the pain relief they offer, this option is quite reasonably priced. The design also makes them very breathable, and they’re also surprisingly durable. On the whole, these socks are awesome for reducing inflammation. However, they’re only really suitable for those with plantar fasciitis and other conditions which cause swelling. Comfortable – comes with a fit guarantee. Only really useful for those with plantar fasciitis. Another more all-purpose no-show sock is this option from The Comfort Sock. Featuring a massive 88% cotton, this product is super-soft and incredibly comfortable. Despite the large proportion of natural materials used, it’s surprisingly breathable, and doesn’t get too sweaty. On the whole, these are relatively thin socks, which is part of the reason they’re so well-ventilated despite being made mostly of cotton. However, the heel comes with extra cushioning, and the toe seam is very durable – so these socks should last you a long while. Considering what they cost, their overall durability is great. The 2% spandex used to support the cotton/polyester blend helps to provide a little bit of compression, improving the level of support offered by this sock. It’s not too tight though, and is easy enough to slip on and take off. They also wash really well – but do fit a little bit small. This is yet another option which comes with a “100% satisfaction guarantee”, although TCS don’t provide a whole heap of detail on how this warranty works. The only other downside to this sock is how the cotton can pill up into little balls of fuzz pretty easily. This is only mildly annoying though (in our opinion, at least). High cotton content – can feel very warm in hot weather, and leads to fuzz balls. Why do manufacturers make gender-specific socks? As we addressed in our buyer’s guide, the only difference between men’s and women’s socks is the sizing. Women’s socks are made to women’s shoe sizes, so they’re typically a bit smaller. These socks feel fantastic to walk on. You won’t wear holes in them very easily – they should last for at least a year of intense tennis training/games. With regards to their fit, these are pretty comfortable socks. They have a good level of compression (providing a little extra arch support) but aren’t too tight. There’s a good amount of cotton – but not too much, meaning they’re comfy but won’t come apart easily. What’s more, the price is pretty good considering you’re getting a quality Adidas sock. They’re also available in any length you’d like – we can’t really fault these socks considering what they cost. Available in any length you’d like. Fits nicely, but not too tight. None to mention – fantastic tennis socks. This is another option with a decent level of compression. Provided you get the right size, these socks fit pretty tight, giving you a little bit of extra support in the midfoot area. They fit so snug because each sock is custom-engineered for either your left or right foot, making them super-comfortable. Another benefit of this compression design is it can help to prevent blisters, by stopping your foot rubbing against the inside of your sock. Plus, since more material is in contact with your skin, it does a superb job wicking sweat away from your body. However, if you’re not used to wearing compression socks, the tightness may feel a bit weird. It’s up to you whether or not you’d prefer something that fits a little looser. Whether you love to wear neon green/pink/orange on the court, or prefer a more traditional all-white look, HUSO have you covered. There’s a massive range of colors available, and you can mix and match different styles – the multi-packs come with different color combinations in each lot. The cushioning is also pretty good, meaning these are fairly durable socks. In addition, the price is very reasonable. Massive range of colors on offer. Very tight fit – not necessarily a bad thing though. Now we’ll discuss some stuff you might want to consider when selecting the perfect pair of socks. These days composites are all the rage – you simply won’t find 100% cotton socks for example anymore. Cotton, as a natural material, is very soft. This is what you want if you’re after the most comfortable possible socks. However, it can get quite hot and sweaty, which is why it’s seldom used in large quantities in sport socks. Nylon is basically the opposite of cotton. It’s very breathable and highly durable. But it’s not the softest stuff – this is why it’s often blended with other materials. Spandex provides socks with extra elasticity, making them more stretchy. Manufacturers like to add a little bit to the collar, especially on crew socks, to help keep them up. A higher proportion of spandex will also make the sock easier to put on. Acrylic is an incredibly comfortable material to wear. However, it’s not especially durable, nor does it wick sweat very well when used in small quantities. This is why you’ll see companies use acrylic when making especially thick socks. Sock length is purely down to personal preference. I’ve been using mid-cut (quarter-length) socks for more than a decade now, so I find other styles quite weird to wear. Ankle-length socks (sometimes called “no-shows”), as the name suggests, only go up to the very beginning of your ankle. They’re ideal for those who want their socks to remain invisible, or who hate the feeling of having long socks. Quarter-length socks are the standard ones – they extend around 2-3 inches (depending on the manufacturer) above the beginning of the ankle. Crew-cut socks are the long option. These socks come up a good 4-5 inches on your ankle. Some people like how they feel, but others wear them for the warmth they offer in windy conditions. Ultra-thin socks help to keep your feet nice and cool, and are comfier if you’ve got particularly tight tennis shoes. However, they can wear out quite easily – you should consider buying in bulk if you prefer the feel of really thin socks. Thick socks will obviously be warmer, which is useful for all the Canadians out there! They also last longer, and might provide a little more traction inside your sock (because they often contain a ton of cotton). Balanced socks are the most common option: they’re not too thick, nor too thin. They’re very popular for the balance between breathability and durability they offer. Plus, they provide good grip without being hard to get on. It’s entirely up to you what sort of sock thickness you want. If you’re not sure, getting a balanced option is probably your best bet. There’s only so much you can do when making a sock, right? In recent years, manufacturers have begun putting small tacky pads on the footbed of their socks – Adidas calls it “Traxion”, Nike has a less popular version called “NikeGrip”. Essentially, this material helps your sock to grip your shoe a little bit better. But why is this useful? There’s no such thing as a perfectly-fitting tennis shoe. Your foot is always going to move around slightly inside your shoe as you play your strokes. 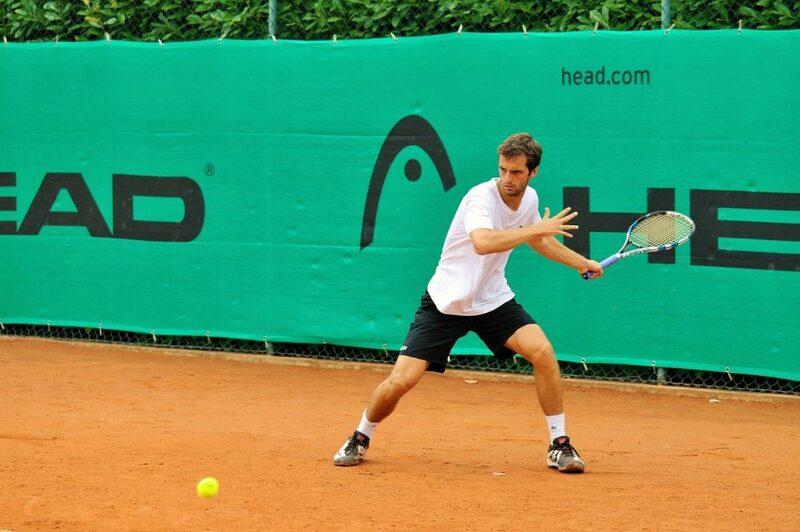 Having a grippy sock helps to eliminate some of this movement, making it more comfortable to do Djokovic-esque slides. Plus, slipping can be incredibly distracting, since it throws you off balance. This is why Traxion socks (and other similar products) are so popular. They’re definitely worth shelling out a little extra cash for if you can afford them. What else do premium socks offer? Apart from enhanced grip, why would you pay more for expensive socks? They’re normally more durable, as they’re made by slightly higher-skilled workers. Some are even made without seams (more on this below). Premium options tend to be more breathable, because the manufacturers use higher-quality fabrics. They’re generally very comfortable. Good manufacturers will spend more time figuring out what sock shapes feel the best to wear – some even make a specific sock for your left/right foot. Is it worth getting compression technology? Some socks advertise that they offer added compression over your regular options. This is supposed to help with circulation, improve comfort (through sweat-wicking) and even enhance stability. The truth is that compression technology can be useful, especially if it’s done well on that specific sock – the bigger brands tend to know what they’re doing. It can definitely help keep your feet a little cooler, and is generally a lot more comfortable. However, the choice is down to personal preference. Ultimately, compression socks can feel very different to regular tennis socks. They’re obviously a lot tighter, and grip the skin a lot more. if you’ve never used compression gear before, it might be worth sticking with a plain old pair of tennis socks. 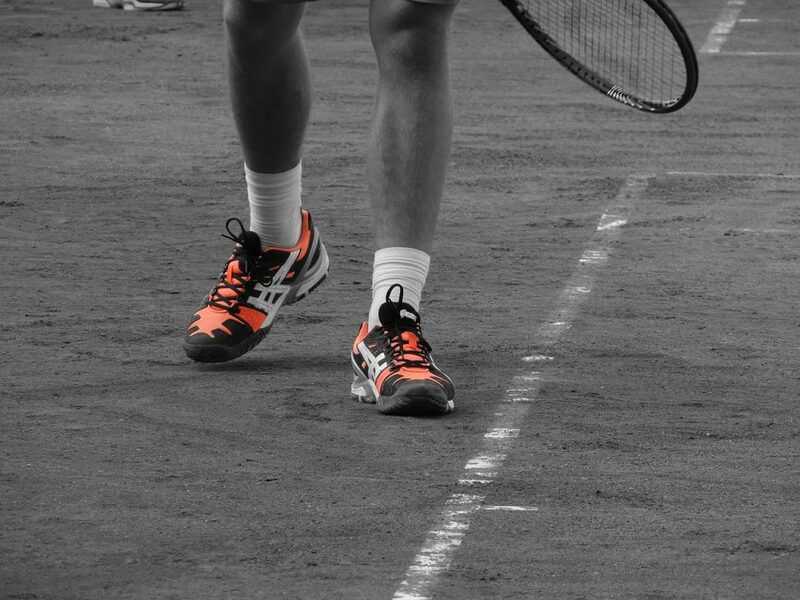 Traditionally, tennis socks were made of two or three pieces of fabric, with a seam in the toe area. Not only can this design cause your socks to fail really quickly, it can also make the sock quite uncomfortable to wear, due to the small ridge just above the toe. These days, manufacturers have begun streamlining this seam as much as possible to prevent rubbing. Some have even begun using just the one piece of fabric for the whole sock, meaning no need for seams. Bottom line: avoid socks with large seams, unless you’re on a tight budget. If you’re looking for an excuse to upgrade a pair that doesn’t yet have holes in it, say you’re going seam-free! The only real difference between men’s and women’s socks is the sizing. Women’s socks are slightly smaller, because women’s shoe sizes tend to be a bit smaller. There’s no problem at all buying a sock that was supposedly designed for the opposite gender. Just note that if you’re a guy, you should probably go up a size if you’re right on the border between two different sizes. Similarly, go down a size if you’re a girl in between two different sizes. Still unsure what socks would suit you best? Leave a comment below and we’ll get right back to you.